SNOBBY HIPPY: Tech Gadgets: Fun with Bluetooth Speaker Lights! 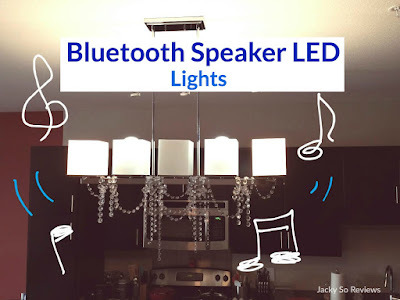 Tech Gadgets: Fun with Bluetooth Speaker Lights! We spruced up our new apartment with some musical vibe lighting: Bluetooth Speaker LED lights! tldr: Turned our apartment into a cafe/bar with bluetooth LED lightbulb speakers. Papa originally got them from a mall cart last year and paid a lot of money. Comparable versions are available much cheaper now! See the other ones below. 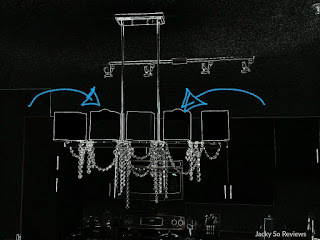 My dad got sucked into buying these really expensive bluetooth LED pendant lights with puzzle/infinity lanterns from one of those mall carts. He paid some ridiculous amount like $350 and was told he was getting a buy-1-get-1 deal for 4 of them. To be fair, they ARE really cool. The sound is excellent and the remote control lets you change the colors of the lanterns to match the music. We ended up using them for our garden wedding, so it was put to good use. However, the remote control used to change the lights and sync it with the music...we lost that somewhere along the way. But that's okay! There's an app for that! Since the puzzle lanterns were bulky and we had to move post-wedding, we took them apart and rescued the main prize--the Bluetooth LED Speaker lightbulbs! For reference, this is pretty much what our speaker LED bulbs look like. There are other versions now that are each made a little differently. We took the speaker light bulbs out for the cross country move and didn't set them up yet because we wanted to buy a replacement remote. One evening, Ryan realized the light bulbs our apartment had weren't energy efficient, so he started replacing them. 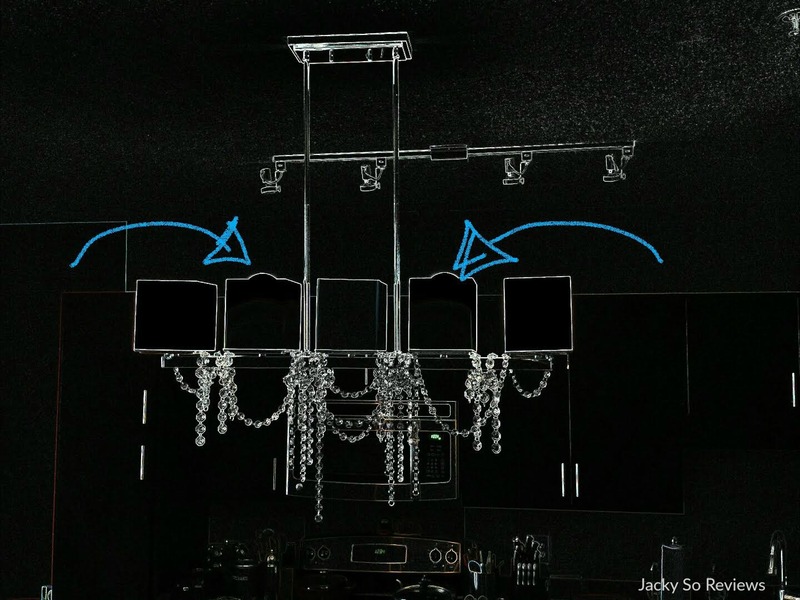 Suddenly, Ryan had the VERY brilliant idea to take 2 of the speaker bulbs we had and put it in our kitchen chandelier! You can see how the LED bluetooth lightbulbs are just a little bit bigger than the regular ones, but it's not so obvious when it's covered in a light fixture or hanging by itself. We tested it, and omg. It's magical! I'll play music from YouTube/Spotify/Pandora/iTunes, synced via bluetooth from my Macbook to the light speakers and it instantly transforms the vibe of our little apartment. Now, our place feels like a cool cafe/cocktail bar! Depending on who wants to play DJ, we also can play music from the Pandora app on either of our phones. All we have to do is connect to the bulbs via bluetooth syncing. 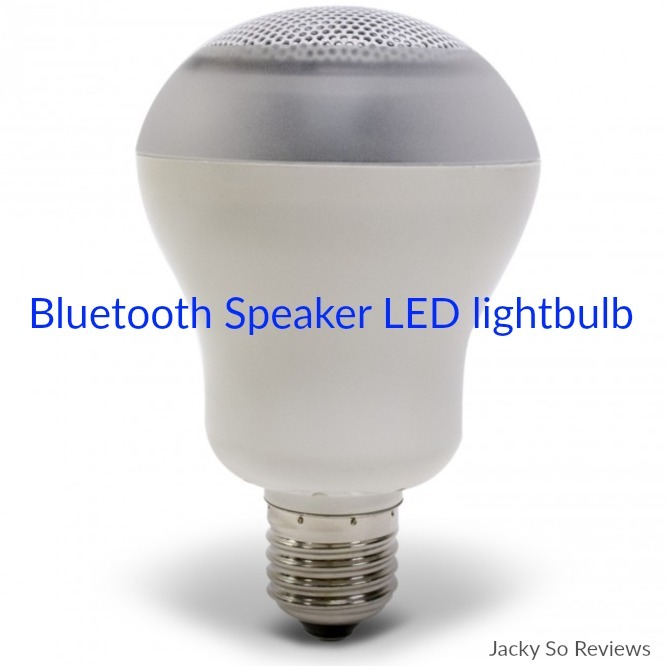 It's very straightforward: Just screw in the lightbulb(s) and let the bluetooth syncing do its magic! It was an unexpected purchase that now makes every day more cheerful, because you can control the atmosphere to match your mood! *Affiliate links below. This is at no cost to you, but I may earn a commission if you click them and make a purchase. I'm only sharing items I found that I love! We found a few alternatives via Amazon (heeey Prime 2-day shipping!). This combo for a bluetooth speaker light + puzzle lantern and pendant cord will be pretty much what they'd try to sell you at the mall carts, except your total would be less than $40 (compared to almost $90 each, and that's them giving you a "deal" haha! ).